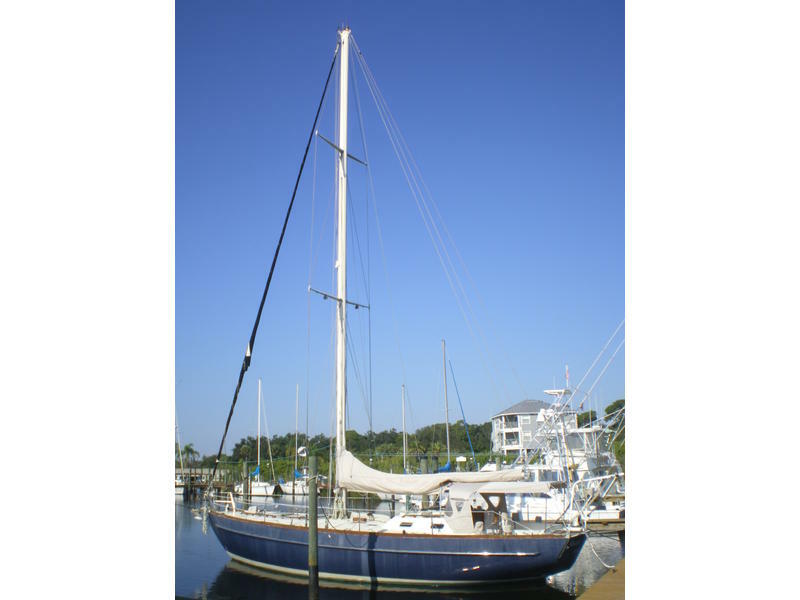 ACCOMMODATIONS & LAYOUT: This Classic Sailing Cutter was designed and built to run the Bermuda Race. The current owners bought her in 1996 when she was taken down to bare hull and deck. Over the next 8 years she went through a complete refit. The decks are Balsa Cored and have no soft spots. The hull is solid and she has a Full Keel. 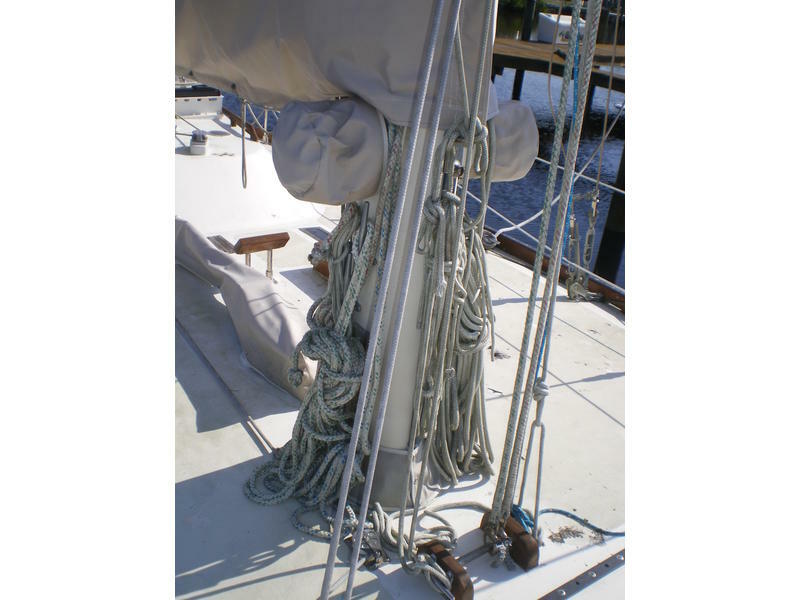 Additionally, there are Water Tight Bulkheads Fore & Aft, 4,500 Hour Refit including ProFurl Head Sail, Main with little use, low hour Yanmar Diesel, Traveler, Inner Fore Stays and Running Back Stays, Running Rigging, Reeved for Six Halyards Canvas Dodger, Andersen ST Winches, B&G Instruments, Witlock Direct Drive Pilot, SSB, GPS, and more. 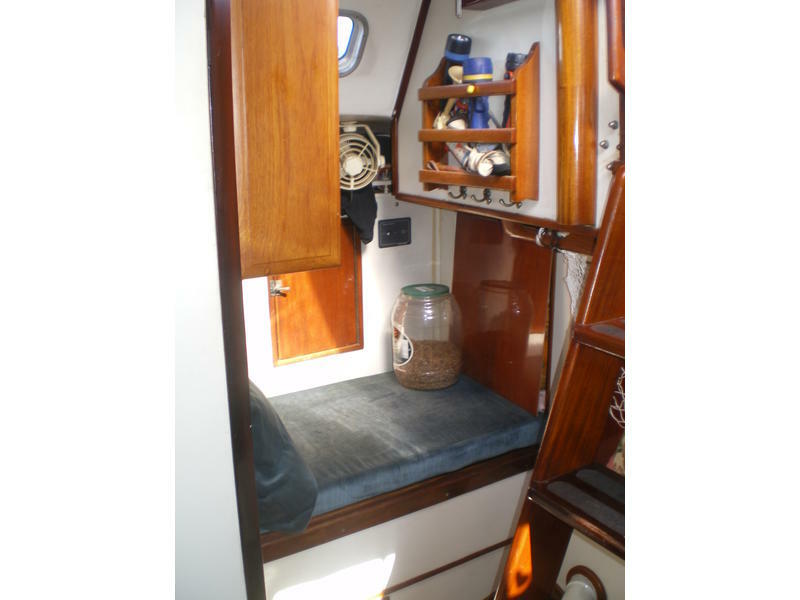 Below is just beautiful from her Teak & Holly Sole to the Mahogany Settee and Forward Berth Privacy Door. 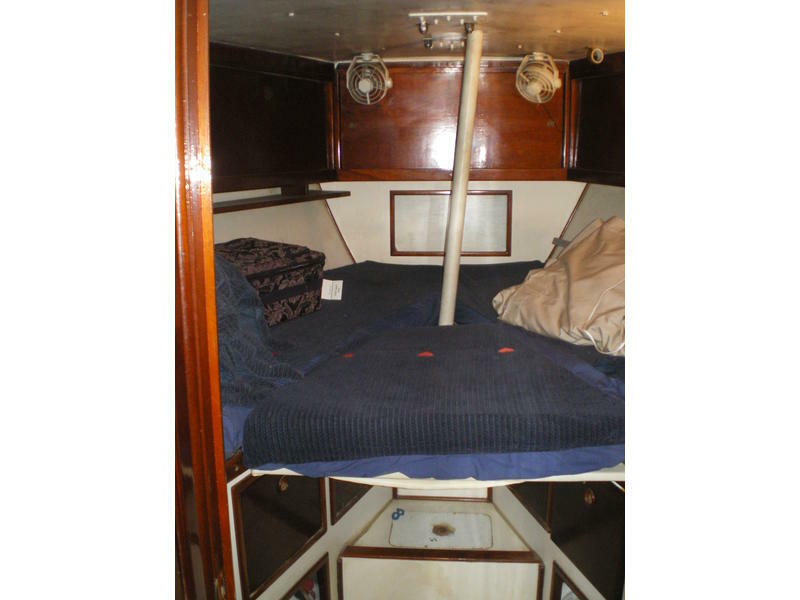 There is head room of 6 below with A/C, Full Galley and an Enclosed Head. She Sleeps (2) forward. 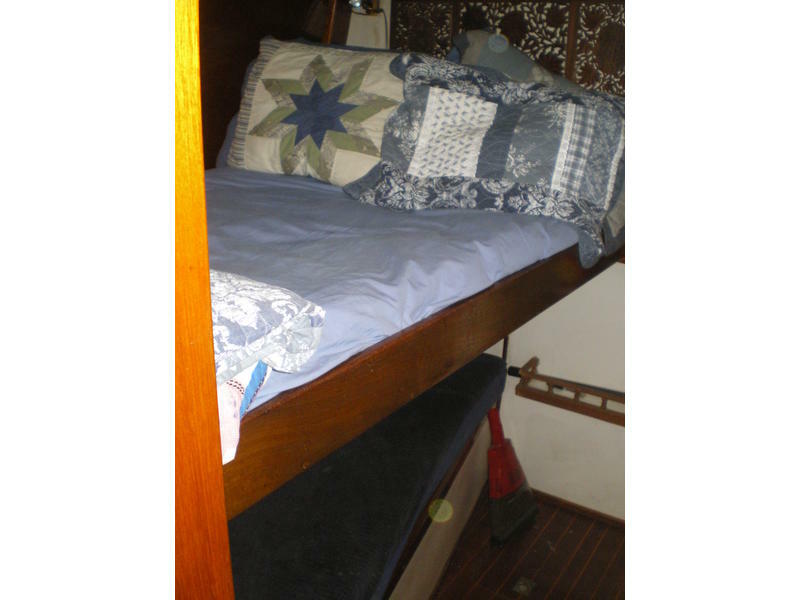 The Starboard Quarter has a Double Top and Single Lower Bunk. 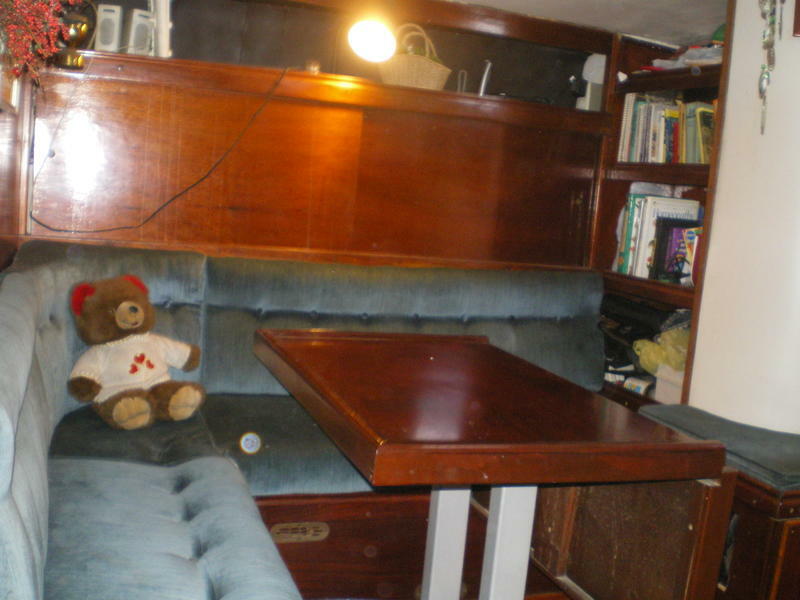 Aft is the Starboard Quarter Berth with Chart Table and very comfortable seating throughout. REMARKS: Health issues force sale as she has sat for a few years and is in need of some cosmetic attention topside. A sound cruiser with a ton of late model gear. Call Today to come see her. Information offered on this specification sheet is thought to be accurate at time of publication but not guaranteed as such. The broker shall not be liable for any errors , misprints, deletions or changes to the vessels inventory. No guarantees or warrantees as to the seaworthiness, marketability or value of the vessel are offered as regards this information. ELECTRONICS: Micrologic 250 DGPS, ICOM M 59 VHF, Sitex SSB Receiver, Heart/Link 2000R, Heart 2000 Watt Inverter, 100 Amp Battery Charger, B & G Quad, Depth, Speed, Distance, Log, Temperature, B&G Network Nav with 17 Function Repeater, B&G Network Pilot to Witlock Direct Drive, and B&G Wind Speed Direction Finder. 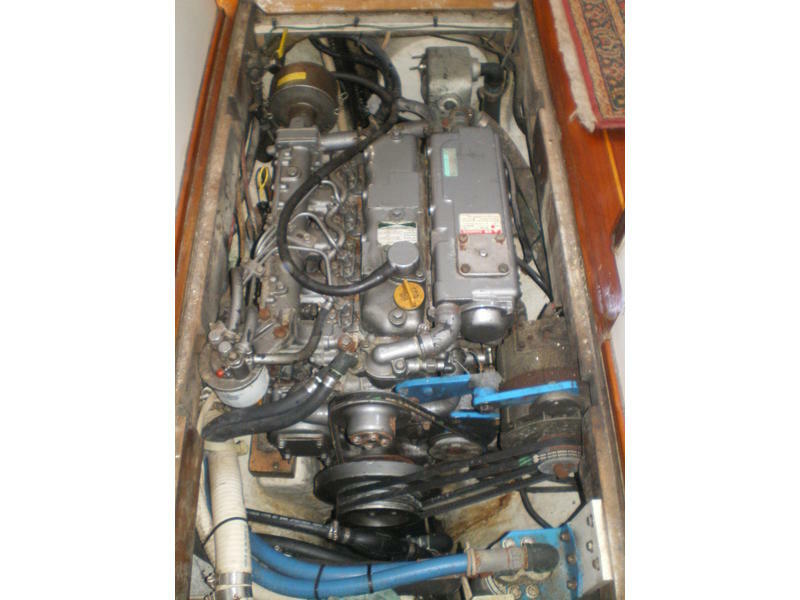 MECHANICAL: 18,000 BTU Reverse Cycle A/C (new in 2003), 3.2 Cabin Refrigerator, Alder Barbour Cold Machine (currently not operating), Manual Windlass, (3) Bilge Pumps, Whale Gusher Pump, and Emergency Tiller. 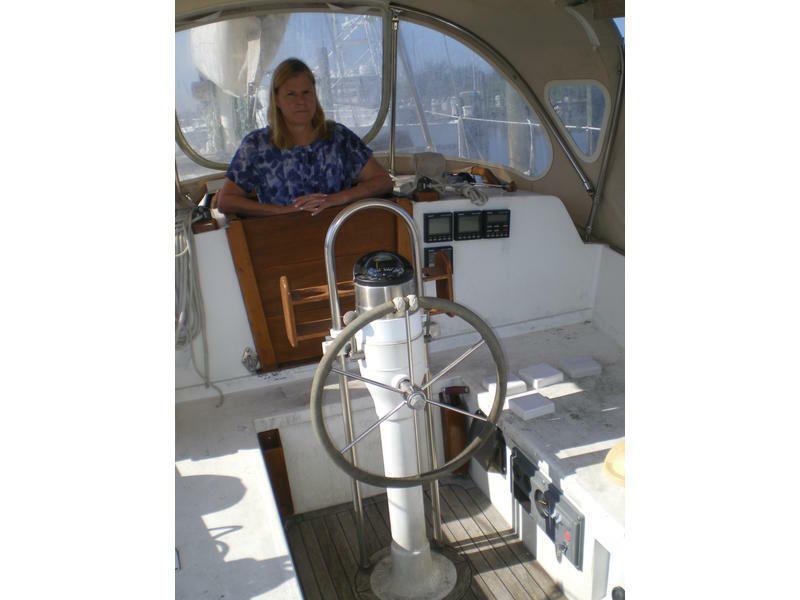 DECK GEAR: ProFurl Head Sail, Sea Tiger Manual Windlass, 35lb Danforth, 45lb CQR, 50 Chain to 300 Rode, Second Deck Mounted Strom Anchor, 2 24 Bomar Hatches, 2 12 Bomar Hatches, (3) Teak Dorade Vents and (5) Hella Fans, 20 Genoa Tracks, Dingy Davits, Gas Grill with tanks that also feed the (3) Burner Force Ten Stove and Oven. 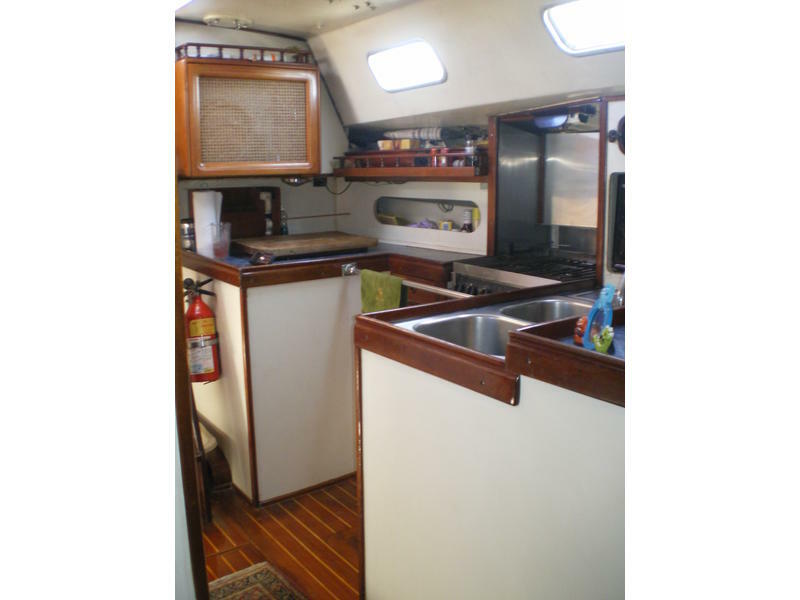 The Galley has Dual Deep SS Sinks with Filtered Fresh and Salt Water Water.